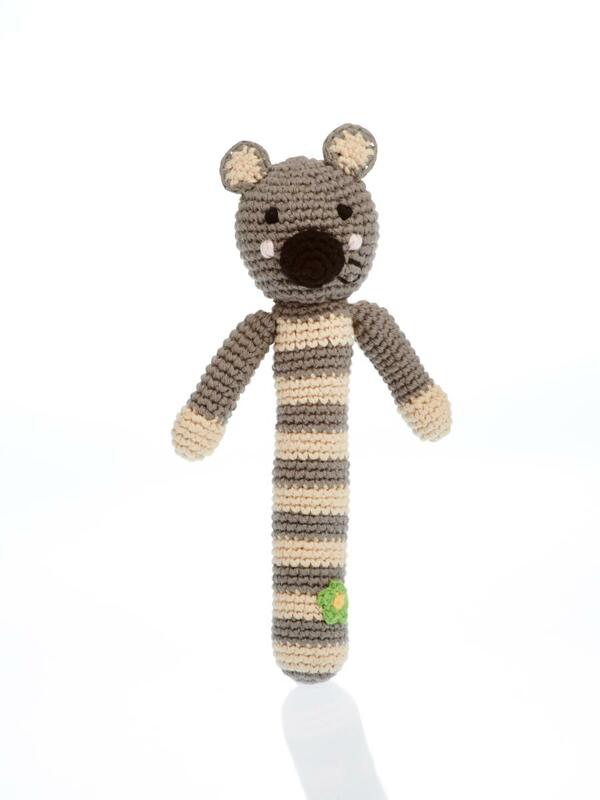 This gorgeous koala bear rattle is a great first baby rattle toy as it is easy for baby to grasp onto. With its friendly face and stripe body, this koala bear is sure to delight. Crochet from cotton yarn. Handmade, fair trade, suitable from birth, machine washable.